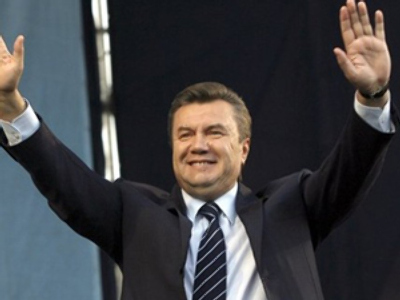 Ukraine's new President Viktor Yanukovich has been sworn in as the country's fourth leader since it gained independence. In his address at the ceremony, he named reforming the system of the government as a key priority. "I know what must be done and how,” Yanukovich said. “First of all, we must resume the system of effective state government. We must quickly form an efficient executive branch, which will immediately concentrate on the most vulnerable economic sectors and social sphere." In his appeal, the president urged the parliamentarians to unite. He said that effective cooperation between the president, the parliament and the government will pave the way to rapid economic progress. Also, Yanukovich promised to sign a decree that would cut presidential secretariat expenses since that would help to tackle “the catastrophic situation with state finance”. Among the guests who arrived in Kiev for the ceremony were premiers, foreign ministers and eight heads of state – including the presidents of Armenia, Latvia, Lithuania, Poland, Macedonia, Hungary and Montenegro. Russia was represented by State Duma Speaker Boris Gryzlov, Kremlin administration head Sergey Naryshkin and Patriarch Kirill of Moscow and All Russia. Ukraine’s Prime Minister and members of the Timoshenko Bloc – though not all of them – boycotted the inauguration ceremony. Yanukovich, the leader of the Party of Regions defeated Timoshenko earlier this month in a closely-contested run-off vote. Prior to the official ceremony, Yanukovich attended a prayer service at Kiev’s Pechers Lavra monastery, which was conducted by both Metropolitan Vladimir of Kiev and All Ukraine and Patriarch Kirill. For the first time ever, the head of the Russian Orthodox Church has blessed a leader of a foreign state in the accession to power. The Church urged against politicizing the patriarch’s visit. According to Itar-Tass, sources in the Moscow Patriarchate pointed out that Ukraine is part of the canonical territory of the Russian Orthodox Church, and the invitation to the head of the Church to officiate at the prayer is quite natural. From words to actions, right after the ceremony, the president signed a decree renaming the presidential secretariat as the presidential administration and appointing its head. The move is aimed at both cutting the spending and making the work of the body more effective. According to Anna German, the newly-appointed deputy head of the administration, cited by Itar-Tass, Yanukovich decided to cut the administration staff by 20 per cent, and those remaining will see their wages decreased. However, being fair enough, the president also intends to halve his own salary down to about 20,000 grivnas (US$2,500) per month. The inauguration ceremony itself was a rather modest one. Back in 2005, when former Ukrainian President Viktor Yushchenko was elected, over US$1 million was allocated from the state budget for the event. This time around, according to the Party of Regions, while the country is experiencing serious financial turmoil, the sum spent was to be much smaller. Viktor Yanukovich has already outlined the main issues of his future policies for the next several years. The main priority for him, according to what he has said, would be, of course, resuscitating the country’s economy. “So it is very clear that only with Russia, working together on mutual investment projects and modernization of the economy, will it be possible for Yanukovich to pull the country out of the recession,” Dmitriev said. Yanukovich has also mentioned that there will be major changes in the foreign policy of Ukraine. Over the last five years in Ukraine, which could be described as the Orange Era that followed the Orange Revolution, Kiev was looking to the West in its foreign policy. Now, Yanukovich says that his priorities in foreign relations will be reviving ties with Russia and the CIS countries. “Being a bridge between East and West, an integral part of Europe and former Soviet Union at the same time, Ukraine will choose foreign policy that will allow our country to get the maximum out of development of equal and mutually beneficial relations with Russia, the European Union, the United States and other countries that influence the development of the situation in the world,” he said addressing the nation Thursday. “We are ready to participate in such processes as a European non-aligned state. I intend to suggest this concept to the Parliament to develop the foundations of foreign policy of Ukraine, and, hopefully, the highest legislative body will support me,” Yanukovich said. Meanwhile, his first official visit as the country’s president will take place on March 1 to Brussels. According to Aleksey Garan, a political analyst, the decision to pick Europe for the first visit was right, since “Yanukovich is often accused of being pro-Russian…which is not correct”. The head of the Energy Research Center in Ukraine, Konstantin Borodin, says Ukrainian president Viktor Yanukovich is viewed by many as pragmatic, with thinking based upon solid economic ground. The Ukrainian President’s first official visit to Moscow is scheduled for March 5. "We have agreed on the matter with President Medvedev," he said Thursday during a meeting with Gryzlov and Naryshkin. Also, Yanukovich has reportedly asked the Russian delegation to stay in Kiev longer than had previously been scheduled, in order to hold more talks. For Yanukovich it is a truly happy day because, after the questionable defeat in the third round of elections back in 2005 – the events that led to the so-called Orange Revolution – he has really emerged from political oblivion. In the second round of the presidential election on February 7, he gained a little less than 49 per cent of the vote, while his rival Yulia Timoshenko gained a little less than 46 per cent. The remainder went to the “Against All” candidate. Later, Timoshenko publicly announced that she would not accept the results and that she believed the voting was falsified in the east and south of Ukraine. She took the case to the highest administrative court of the country, which in fact suspended the decision of Ukraine’s Central Election Commission for several days. 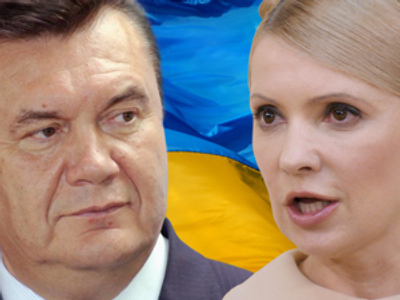 However, Timoshenko, quite surprisingly for many, then decided to withdraw the case from the court and Yanukovich was officially declared the winner of the ballot. Still, the citizens of Ukraine do not know what exactly to expect from the new administration and its president. 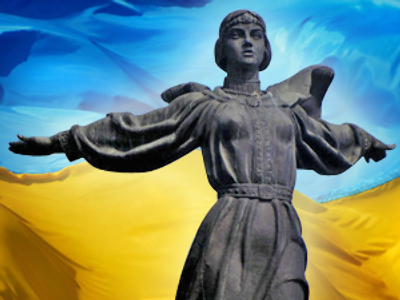 There is a lot of talk going on about the fate of Yulia Timoshenko and whether or not the country will see a new Prime Minister soon. Nevertheless, the election saga in Ukraine is over for now and everyone is waiting to see what steps the new president will take. Watch Dmitry Babich, political analyst from RIA Novosti news agency and RT’s political commentator Peter Lavelle commenting on the issue.